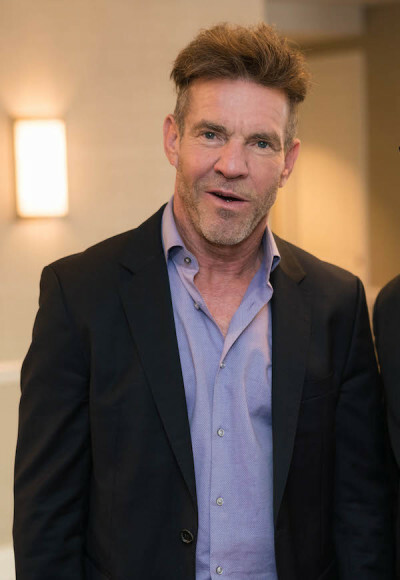 NASHVILLE — Hollywood actor Dennis Quaid described the impact his role in "I Can Only Imagine" has had on his life and what he thinks Heaven will be like in an interview with The Christian Post. "After Arthur, I started having the thought of not judging anybody else and that included myself. Because you just let God take that over; let Him take care of that all. It frees you up in life," Quaid said, speaking about his role as Arthur Millard in the film about musician Bart Millard's life, at the National Religious Broadcasters' convention on Feb. 27. The crossover hit song "I Can Only Imagine" sold over 2 million digital downloads and was certified almost 3x platinum. Now, almost a decade later, Millard's life story will be showcased in the upcoming Lionsgate and Roadside Attractions film, "I Can Only Imagine." The Erwin Brothers movie hits theaters nationwide on March 16. "'I Can Only Imagine' the song is such a beautiful song. It's the most celebrated and successful Christian or faith song that's ever been," Quaid added. "The reason it was so successful is that everybody takes that song and makes it personal to their own lives, and I think that's what this film does." Quaid, an award-winning actor, explained that, "The ark of this story is the impossible becomes possible." When asked what his thoughts of Heaven are, Quaid, who recently penned a song for his own mother about Heaven, has been thinking about the afterlife more since his role in the film. "What do I imagine Heaven will be like? I think we all get a little taste of it here on Earth through prayer and meditation. That's actually the good news that's given — you feel it here on Earth. To imagine it? I don't know — that takes other eyes." Quaid grew up attending a Baptist church in Texas and recently said in a promotional video for the film that he was baptized at age 9. As he grew older he sought out "who was God?" But the actor maintained that Jesus has always been the one for him. "I Can Only Imagine" features an all-star cast, including Quaid ("The Day After Tomorrow," "The Rookie," "Soul Surfer"); Oscar winner Cloris Leachman ("The Iron Giant"); platinum-selling country music legend Trace Adkins; and author and actress Priscilla Shirer ("War Room"); and will introduce Broadway's J. Michael Finley ("Les Miserables").